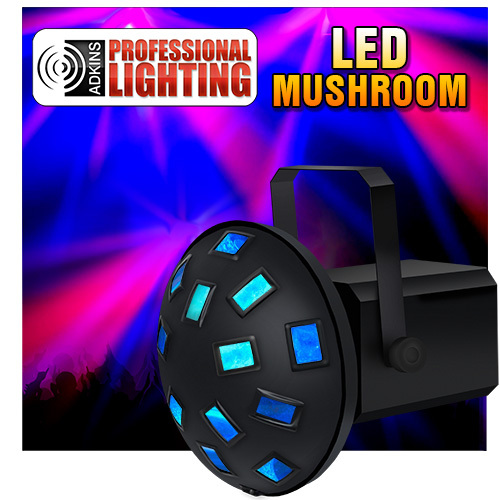 The Tri Color LED Mushroom is an effect light that can cover an entire room with crisscrossing beams. 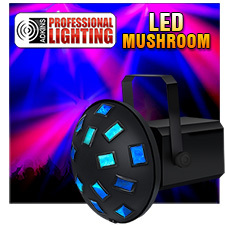 Use the LED Mushroom light for floor-to-ceiling and wall-to-wall coverage. Wide coverage angle, great for mobile applications. Package size: 13 3/4" x 13 3/4" x 15 3/4"